First, I must apologize for the awful title of this post. If you’re like me “November to Remember” sounds awfully close to that stupid commercial that starts popping up this time of year. You know the one. 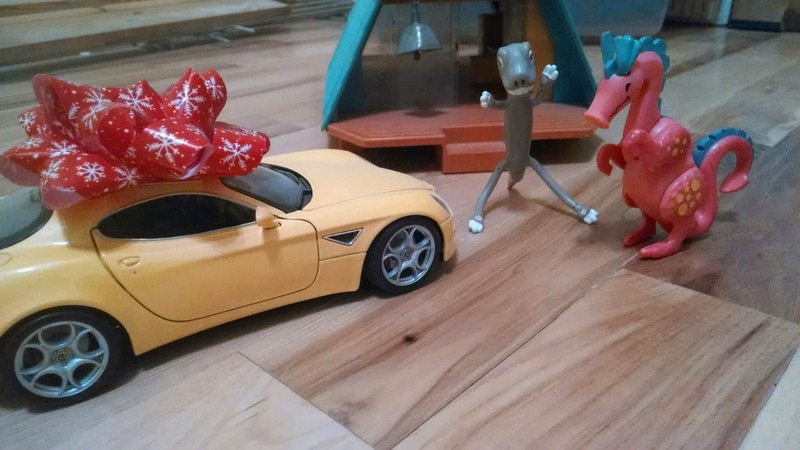 Sappy music starts playing and they try to convince you to buy a luxury car for someone as a Christmas gift. Bleh. I am not creative, and November to Remember is the best I could come up with this month. This commercial causes me to gag just a bit. Needed for $1,000,000: Woot, I’m there! 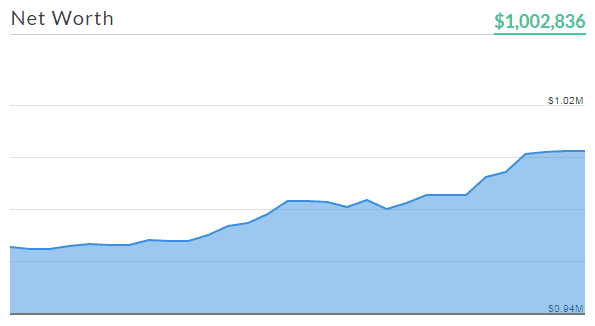 The big news is that my portfolio crossed the million dollar threshold last week. We had been visiting with family, so I hadn’t been paying a lot of attention to the markets on Monday or Tuesday. On Wednesday, I took the train into Chicago and fired up my Personal Capital app***. A number slightly larger than $1,000,000 popped up on the top of the screen and I nearly soiled myself. Happy Thanksgiving to me. I own way too much Apple and it has far too much power over my net worth. Apple is like a Doberman Pinscher that has its way with my portfolio as if it were a small chew toy. When I first started this blog, Apple tormented my net worth in a very bad way. I held on though and it’s been a good thing. However, on Monday the high-frequency trading robots that do most of the trading these days went nuts on Apple, sending it down 6% in just a couple minutes for no good reason. As a result, I was booted out of the DC Club less than a week after joining. I don’t know what I did to get kicked out so quickly. Do I not shower enough? Maybe. Did they catch me playing with plastic dinosaurs? Perhaps. Did they hear me yelling naughty words at my computer when it wasn’t cooperating? Probably****. It’s just fine though. I expect that I’ll get kicked out of the DC Club many more times before I join for the long term. In the short term, markets will go up and down. In the meantime, 2015 will be the year that I start working on my Apple issues. 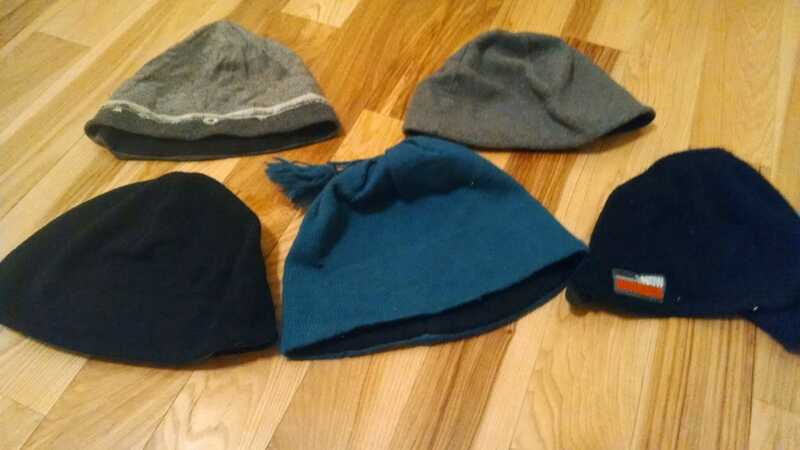 Extensive collection of winter hats: The one on the top left is a woman’s hat, complete with flowers stitched on it. A couple years ago, I was hiking Mt. Whitney (tallest peak in the lower 48). It was summer, but I knew it would be cold near the summit. I had forgotten my hat, so went into a big box sports store to pick up a new one. This was the only hat in the place. I get funny looks sometimes when I wear it. Good thing I couldn’t care less. ***This is an affiliate link. If you sign up, the blog makes a little bit of money and I can afford to feed the dinosaurs and children. You wouldn’t want the dinosaurs or children to go hungry, would you? I didn’t think so. With that out of the way, I would never recommend anything I didn’t use myself and completely believe in. Personal Capital is totally free and an awesome way to keep watch over your investments. It’s worth it for the fee analyzer alone. ****Mrs. 1500 note: Definitely. Absolutely. Unquestionably. Without Fail. What a November. =) Sorry to hear about you getting kicked out of the double comma club wasn’t super fun, but it was fun while it lasted, and you’ll no doubt enjoy re-joining before too long if December or the new year cooperates. I have followed your journey intently over the past months and so I’m delighted that you’ve made it to your goal so quickly. Obviously, you have beaten your expectation because the markets have been very kind in the past couple of years, but in no way does this take away from your accomplishment. You must be delighted to get there so much quicker than you planned. However, as you say, here comes the hard part. You’ve got to go a few times round that revolving door (think “Elf”) going in and out of the double comma club, but there is no doubt that you’ll be there for good in the coming years. Congrats again and well done for all your hard work (and inspiration that you’ve given others). Thanks. Haha, I like the Elf reference, that movie always made me laugh, and it’s the right time of year for it too! I’ve got a very clear picture in my mind now of Mr 1500 wearing his little elf hat, going round and round, every time he’s inside the $1 mil lights flash, but then he’s straight back out in the cold. But hopefully it’s like in the cartoons – you go round and round and round and then you get catapulted inside, miles past the $1 million mark! I echo moneysteppers sentiments here – congrats, and thanks for the continued inspiration! Yes, as long as I’m catapulted inside instead of shot to the curb! Thanks moneystepper for the kind comments! Yes, it has been very nice to have the tailwinds at my back. This blog would look a lot different (and have a lot more profanity) if I had started out in 2007. Congrats on reaching the double comma club! And getting kicked out again – I hear they are a snooty bunch anyways. November was a roller coaster to us to, mostly because our 401ks are matched in company (oil) stock. Its hard being weighted so heavily by one stock or industry – sometimes its a wonderful ride, and other times I just watch the stock plummet, thinking to myself – I’ve got to sell this! They are snooty. They even tried to make me wear a monocle. Oil company stock! That has had a rough ride lately. What goes down, must come up! Did you ask Personal Capital to add the comma back in, you know back to double comma? How was Chicago do or go anywhere fun that I need to check out? Chicago was very brief, but fun. I had about 3 hours in the city which consisted of a burger at Boston Blackie’s and some celebratory beers at some pub. Good times. Who doesn’t yell naughty words at the computer when it’s misbehaving? Indeed. My words are very, very naughty. Haha, one or two comas…..the 1500’s are always tops in my book! That Nissan car commercial annoys me too. I imagine the auto industry will be really pushing the trucks/SUVs this year (and their correspondingly higher profit margins), on the back of lower gas prices. Congrats for getting in the million dollar club! Huge milestone, even if you’ll probably be kicked out and joining again quite a few times over the next couple of months. It’s crazy to see by how much time you’ve beaten your original goal! Very inspiring. PS: I think there’s a typo right above your net worth chart. Shouldn’t it say $1,002,836 instead of $1,202,836? You can never have enough hats! Says the woman who also collects them when she’s near a store and it’s cold. It’s one of the few clothing items that I buy without too much forethought. My 401(k) went over $100,000 in August and it hasn’t gone back yet… I’m switching jobs soon and may not roll over my 401(k) for now, so I’m waiting impatiently for the current one to go back over $100,000 again! Very impressive November that’s for sure.